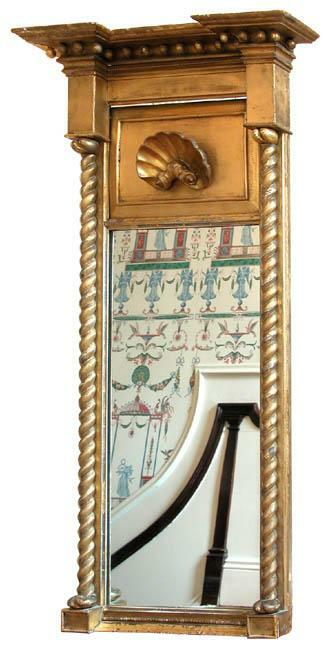 This is a large scale mirror with original gilt and old glass. It retains its original backboard. 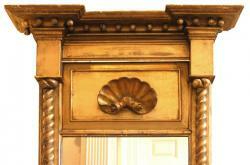 What makes this mirror special is the wonderful shell in the upper tablet. These shells are rare, and make this a very special piece. Height: 53 in. Width: 24 1/2 in.